We all know that Fashion Designer David Tlale is a powerhouse with impeccable style. But now we see that he got it from his Momma (Well, sort of). 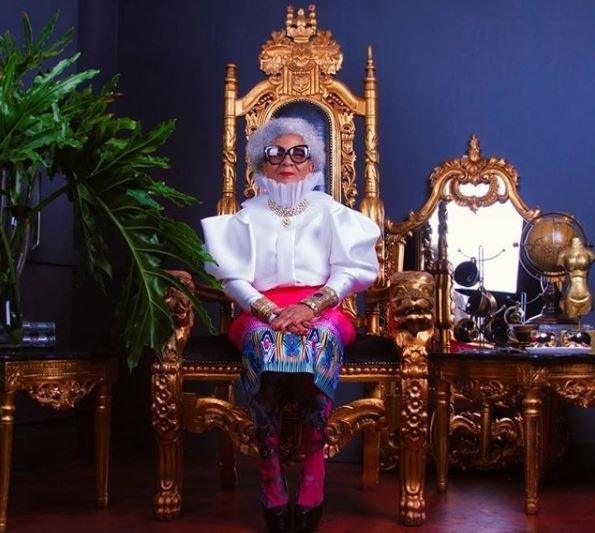 David shared a lovely picture of his mom sitting on his famous gold throne dressed by David Tlale. In honour of Women's month, The house of David Tlale is giving away five white David Tlale power blouses. David's mom looks so good, we think she deserves to be featured in Vogue magazine. Here’s to women ! Here’s to the the powerhouses that have shaped and made us what we are today. ???? Share your inspirational story or moment with us, tag and include #DavidTlaleWomen ?? in your post and you could be one of our five lucky winners. #WomensMonth ♥?